A yummy and filling Ham, Potato & Leek Soup – 15 minutes preparation time and so simple! 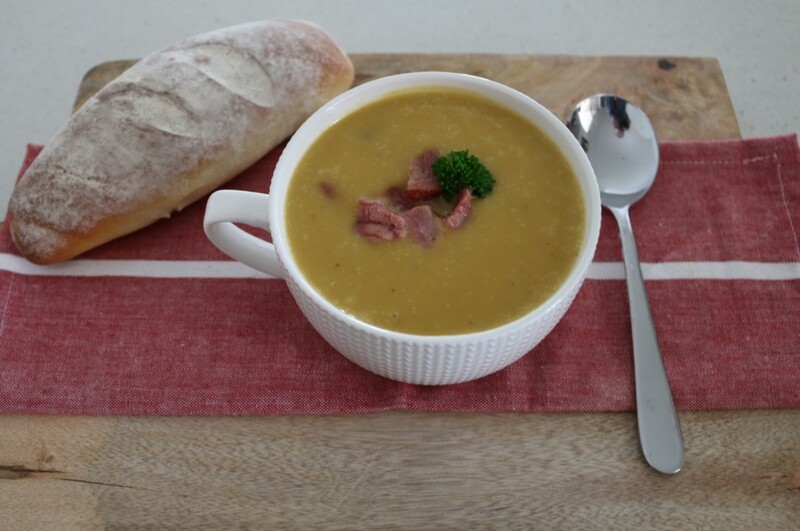 This warming soup is sure to be winner this winter! Hello and welcome to the first ever Spring edition of our Fabulous Foodie Fridays party! There’s just something so special about Spring… the gorgeous flowers, the warmer (and longer) days, and of course, knowing that Summer is just around the corner. To me, eating in Spring is all about simple salads, fresh produce and lighter meals. But don’t get me wrong, just because it’s Spring does not mean that I’ll be saying goodbye to any of my favourite sweet treats!! 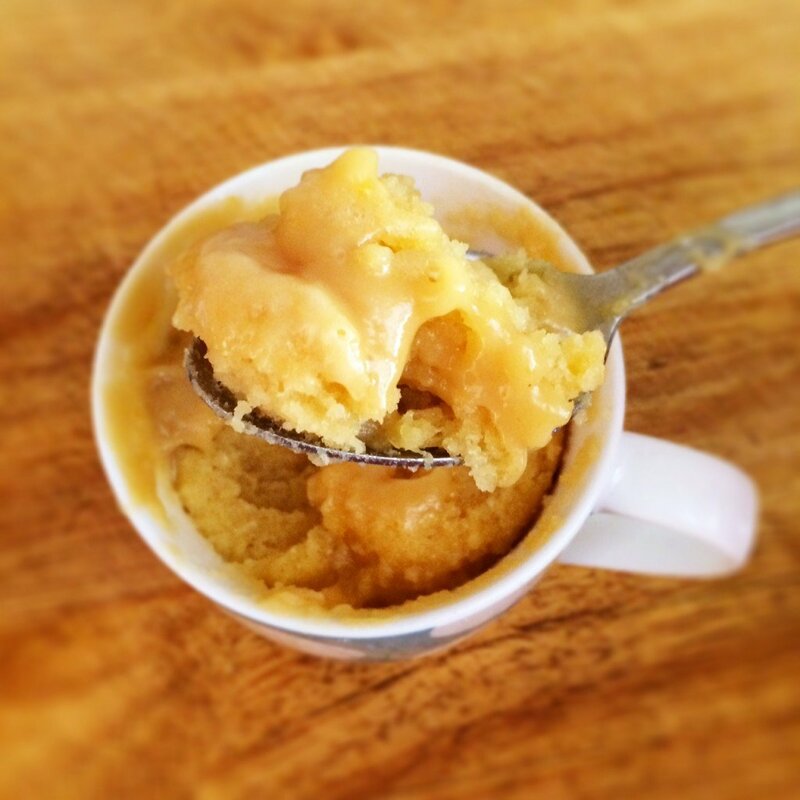 Which brings me to one of my favourite recipes from last weeks Fabulous Foodie Fridays party – this ridiculously awesome Salted Caramel 3 Minute Microwave Mug Cake from Cooking for Busy Mums. I love mug cakes so much! They are the best late night snack… and because they’re only a single serve you don’t get stuck eating the same cake for the next three days!!! Mmmm doesn’t this mug cake just look so incredibly deeeelish! Now if after eating one of those amazing mug cakes you decide you still need a sugar hit, well look no further than this gorgeous Nutella Crumble Slice from Zamamabakes. Yep. Nutella. Crumble. Slice. Need I say more? After all that sugary-goodness you are probably going to feel like something a little lighter and healthier, right? 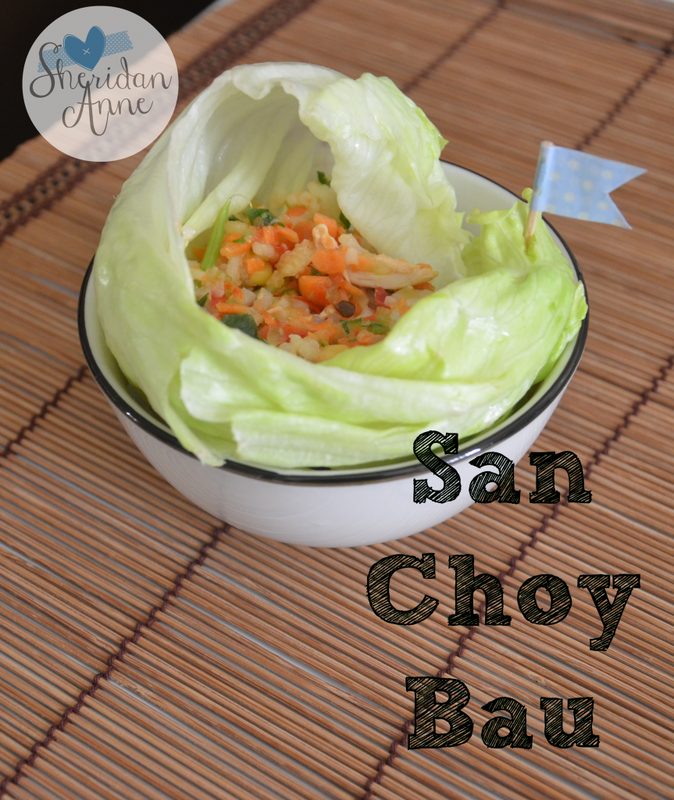 Well this San Choy Bau recipe from Sheridan Anne is packed with vegetables and absolutely perfect for a simple Spring dinner. Last weekend I planted some tomato seedlings in our vegetable garden and I’m hoping that in a few months time we will have tomatoes galore! 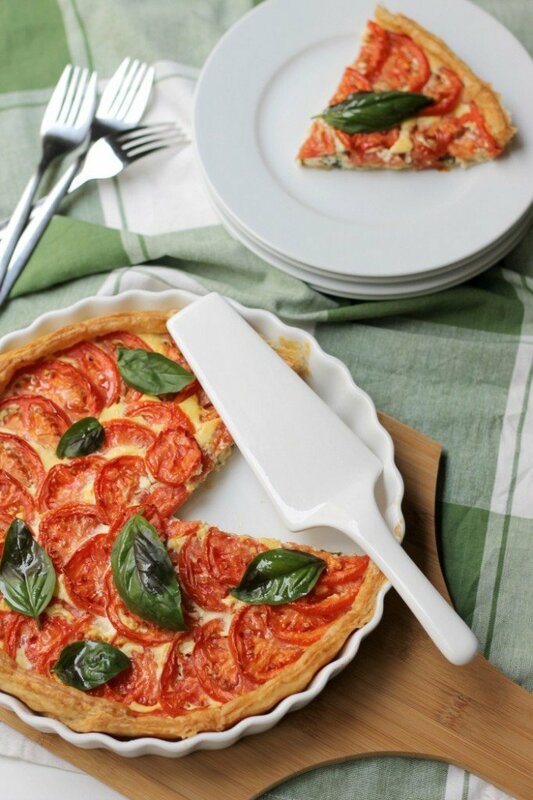 The first thing I’ll be making with them is one of these lovely fresh Tomato Tarts with Ricotta and Basil from Pretty Mayhem. Give me a slice of this tart, some crusty bread and a glass of wine and I’ll be one very happy chappy. 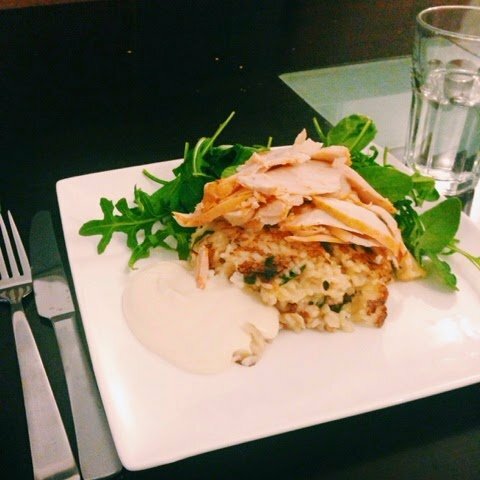 Finally, I love this great dinner idea from Good Food Week – Risotto Cakes with Smoked Chicken. The simple side salad with sour cream and mustard dressing sounds incredible too. Perfectly delicious food that everyone will love! 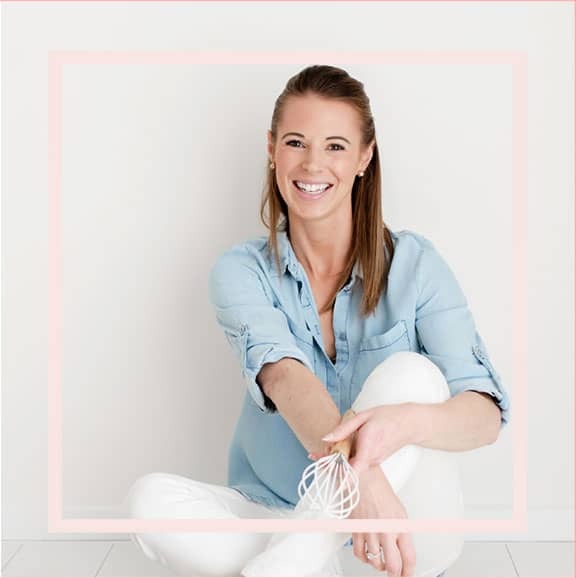 Make sure you pop over and check out Lauren from Create Bake Make’s favourite recipes too (she’s chosen some very, very delicious ones!). Now even though it’s the start of Spring, we all know that quite a few parts of the country take a while warm up (yes Victoria, Tassie, NSW and SA – I’m looking at you!). 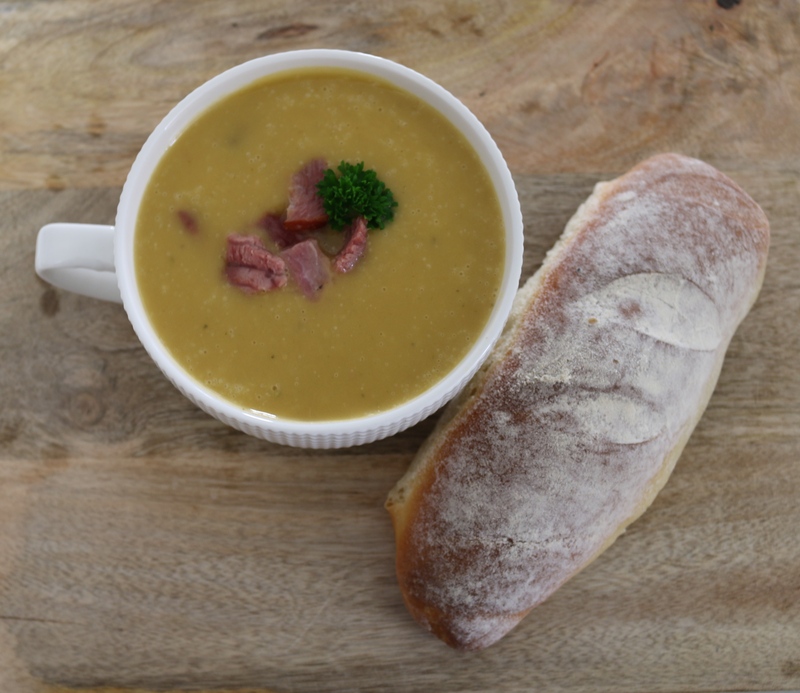 So here’s my yummy Ham, Potato & Leek soup recipe to get you through the last of the colder weather… and also because soup is just a perfectly yummy, healthy and vegie-packed meal at anytime of the year! I grew up cooking with my mum. She’s a great cook (even though she would never admit it) and everything she makes puts me to shame. Anyway, it’s been years since I moved out of home, so now even though we cook much less together, it’s still lots of fun when we do! The other weekend Mum came around to my house armed with all of the ingredients to make Ham, Potato & Leek Soup. It was a cold wintery Saturday so it was perfect soup making weather! 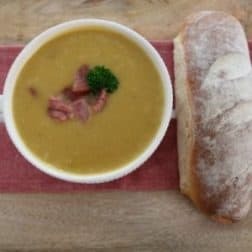 I’ve made potato & leek soup as well as pea & ham soup before, but I’ve never thought to put a ham hock into my potato & leek soup. Mum had seen this soup being made on Better Homes and Gardens the night before and had the magazine on hand… so off we went. I was a little sceptical at first because I usually prefer clear soups or chunky vegetable ones over the creamy versions, but this one really surprised me. It was creamy but not over the top! Usually I get a little happy with the salt (on pretty much everything!! ), but we didn’t add any into this recipe and it really didn’t need it – the ham hock was salty enough. Recipe modified from the original recipe in the August 2014 edition of Better Homes and Gardens magazine. 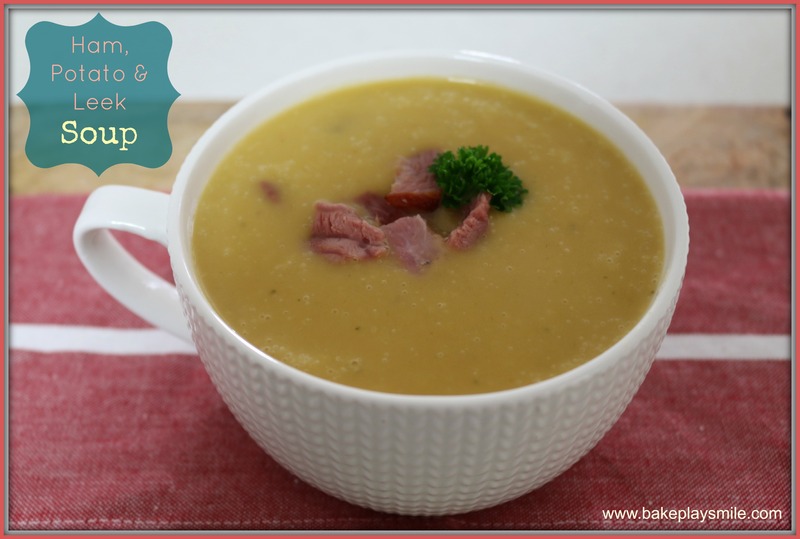 A yummy and filling Ham, Potato & Leek Soup - 15 minutes preparation time and so simple! 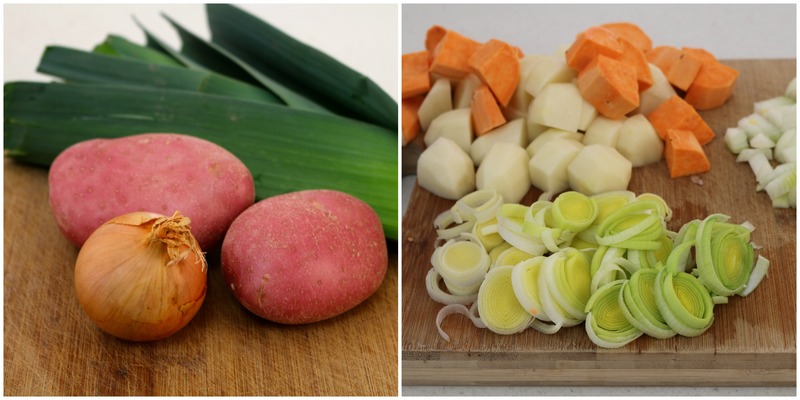 This warming soup is sure to be winner this winter! Heat the butter and oil in a large saucepan or soup pot over medium heat. Add the leek and cook until softened (this will take about 10 mins). Add the potato, sweet potato, herbs and stock and stir until well combined. Once boiling add in the ham hock. Reduce the heat to low, partly cover with a lid and simmer for 1 hour or until the hock is tender. Take the pot off the heat, remove the ham hock and place on a plate or chopping board to cool. Remove the skin and any fatty bits. Cut off the meat and shred or chop into small chunks. Using a stick blender, puree the soup until smooth and no chunks remain. Place half of the chopped meat into the soup. Place saucepan or pot back over the stove over medium heat and cook for 3-5 minutes. Pour in the cream and mix to combine. Season with salt and pepper (taste the soup first as it may not need any salt). Ladle the soup into bowls and top with the remaining meat and chopped herbs of your choosing. Lauren from Create Bake Make & Lucy from Bake Play Smile have put their chocolate filled minds together, to bring you the newest and yummiest link up party in town…. Fabulous Foodie Fridays. I can’t believe it is still soup weather!! It is freezing here, so windy and cold. Perfect for your delicious looking soup. Another great post for FFF’s! 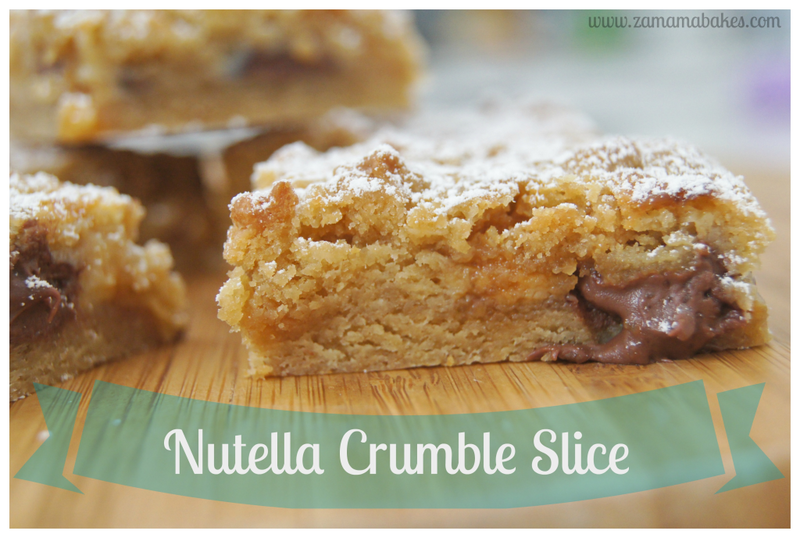 Thank you so very much for featuring my Nutella Crumble Slice. Your soup looks delicious. I know Zadada would absolutely love it! Have a great weekend lovely! Thanks for the mention, Lucy! I’m so glad you enjoyed the recipe. I don’t have a recipe this week, but I may have to add some of these to my next meal plan! No problem!! Mmm yes there’s lots of goodies isn’t there!